Okay, bad jokes aside, I love the real work being done here. 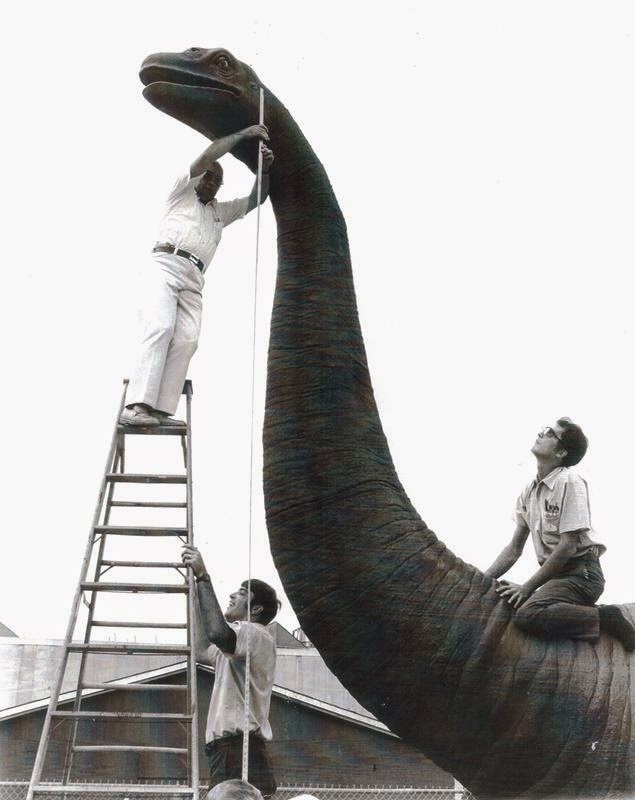 Are they measuring the neck to see if it can fit through an opening straight up and down or if it has to be walked in longways? Are they trying to figure out the placement of the figures based off of the neck size? It’s hard to say, but these were the real world problems and solutions that went into to creating the magical scenes found throughout EPCOT Center. Plus, I’d really love the opportunity to climb atop one of these creatures myself. What a cool job!